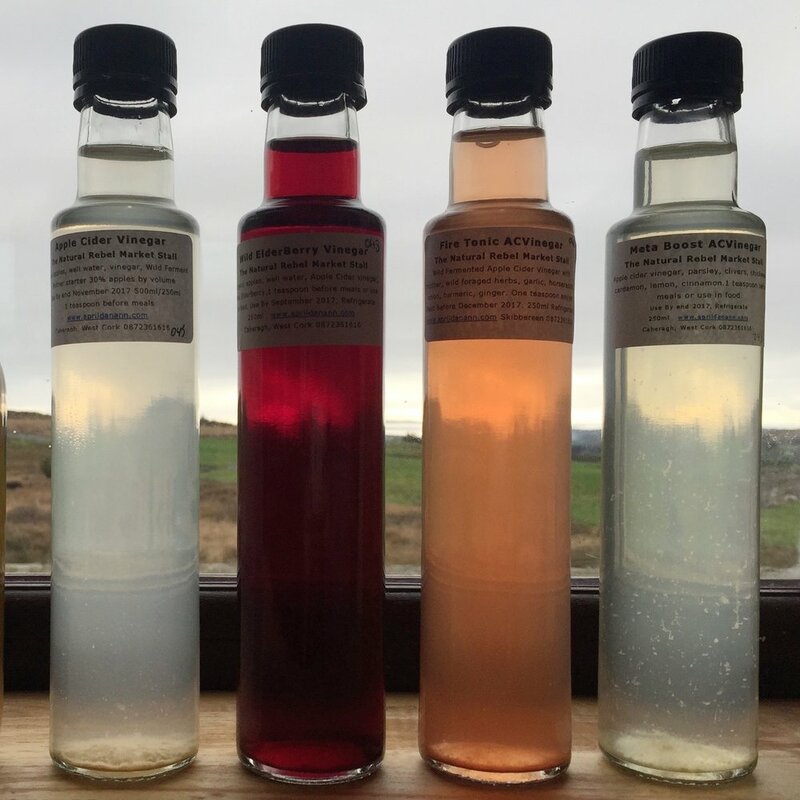 April Danann produces a select amount of naturally fermented apple cider vinegar made with spring fed well water, Irish apples and an apple cider vinegar mother she captured outside in her herb garden in West Cork, with old whisky barrels and time. Natural Rebel Apple Cider Vinegars are available to purchase by mail order within Ireland. April Danann produces a select amount of naturally fermented apple cider vinegar made with spring fed well water, Irish apples and an apple cider vinegar mother she captured outside in her herb garden in West Cork, with old whisky barrels and time. Natural Rebel Apple Cider Vinegars are available to purchase by mail order within Ireland. Delivery is charged is at cost, but due to the weight of the glass bottles April will calculate the price of carriage for each order. Please fill in the form at the foot of this page to let April know which Apple Cider Vinegars you wish to order and she'll get back to you with a quote. Barrel fermented pure natural goodness! Gently infused with herbs and time in pristine well water. Specialised Apple Cider Vinegars, deeply steeped in herbs for a more specific effect. Gentle infusion of wild and naturally grown herbs, berries and flowers. Please contact April to confirm the total charge for your order, including delivery within Ireland. Thank you for your delivery enquiry, April will respond as swiftly as she can!